I am not a girly girl by any means .... prefer to term myself a woman of substance (lol)! 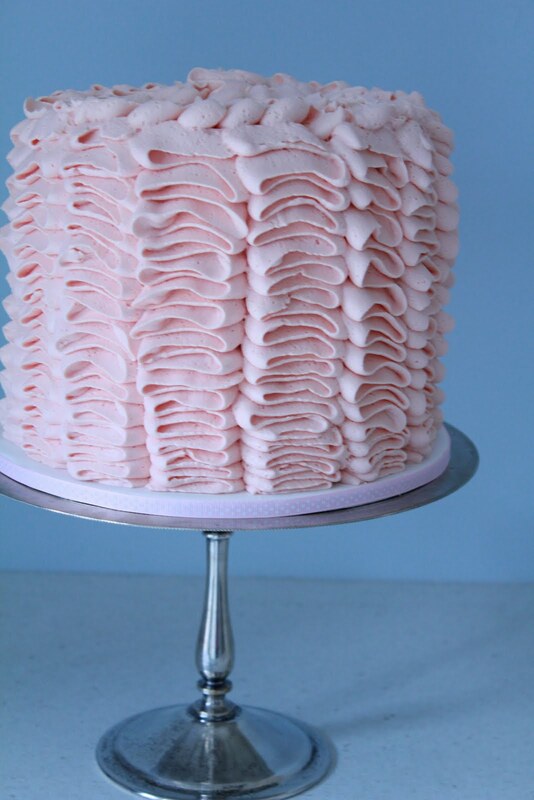 However, the vintage look of ruffle cakes has always appealed to me! 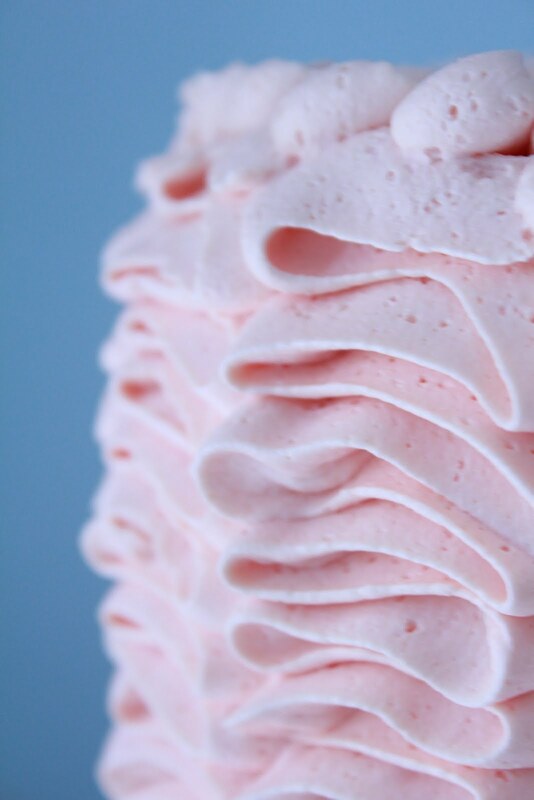 Being vintage styled is the obvious appeal for me, but the beauty of the imperfect ruffles ...... there lies the true beauty! 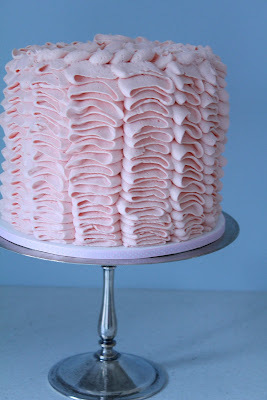 Moving on from that warble ..... Leanne from Mrs A in the Cove asked me to make her a ruffle cake for her birthday and YES YES YES was my answer. 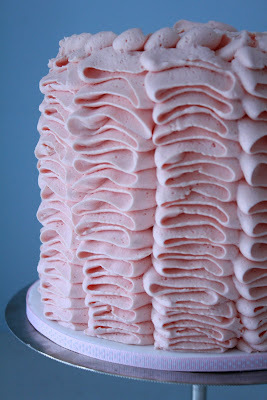 Always wanted to try the ruffles and see them in Leanne's beautiful photos is a bonus! 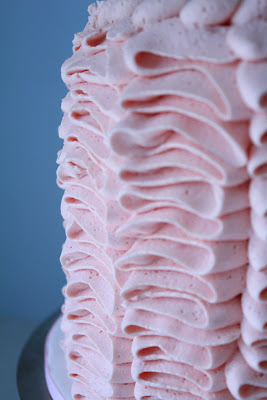 Go to her blog here for her gorgeous pics! So here are some of my photos. 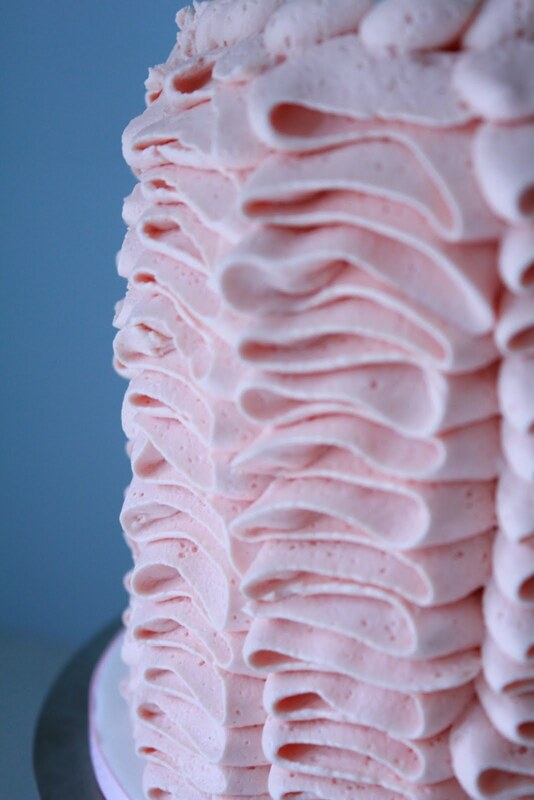 The cake is a very vanilla cake, filled and covered and ruffled in a vanilla buttercream!